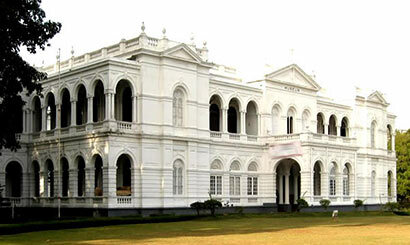 Police believe that the Colombo National Museum had been broken into once again on 16 November, the Police Media Unit said.The Cinnamon Gardens Police has received a complaint that the back door of the gallery, that displayed antique textiles and clay items, had been forced open on 16 November night. Acting Director of the Museum, Thushari Kasturiarachchi, said that the incident has taken place between 6 p.m. on 16 November and 8 a.m. on 17 November. The museum officials have lodged the complaint around 8.30 a.m. yesterday. A senior police officer said that there was a scaffolding near the scene of the incident and that they believe the thief had entered the gallery through it. The Police had also found three sets of finger prints. However, the Museum has not informed the Police whether any artifacts have gone missing.